Hey, today I'm posting a few pictures. 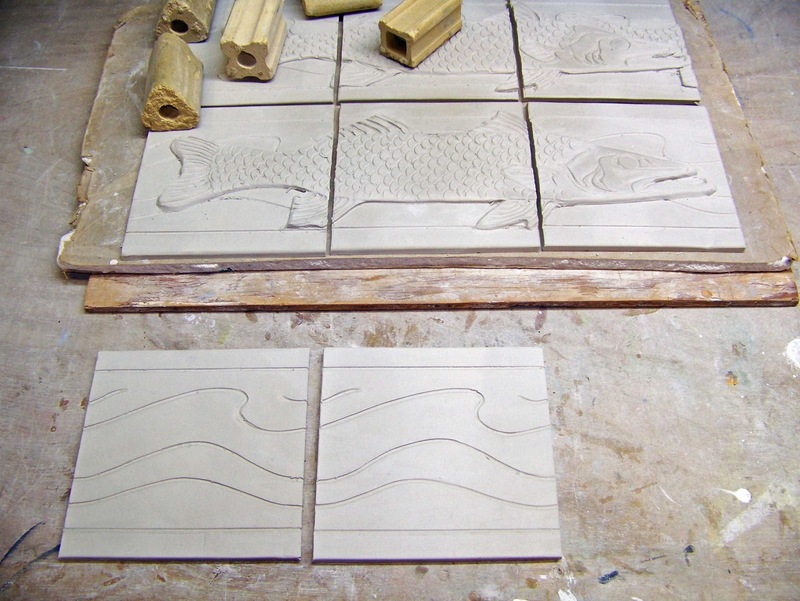 The first picture is of the tiles on which I have sculpted a snook. 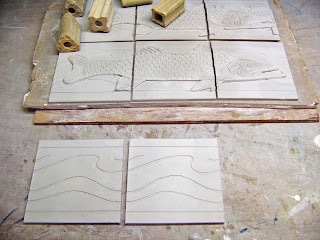 This is a part of the bathroom boarder that I am currently working on. 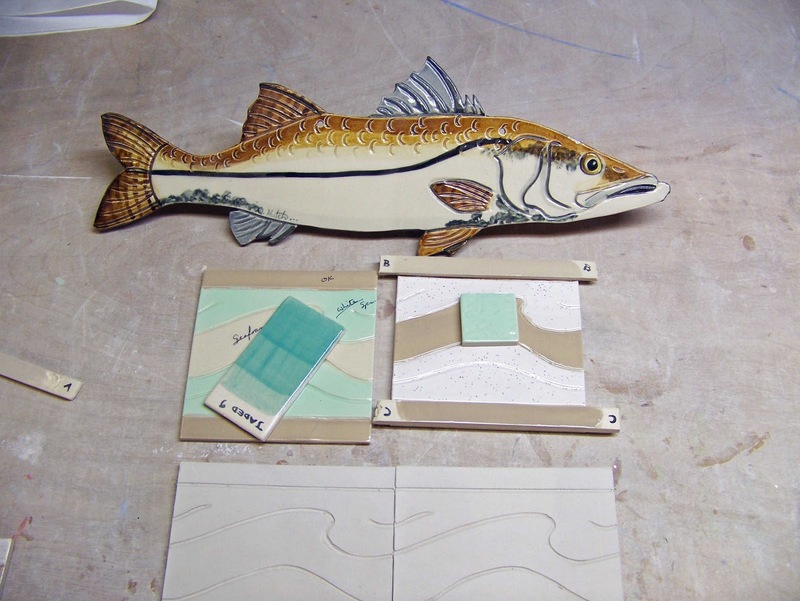 This picture is a snook that has already been fired next to the boarder tile that have not. I am testing colors. If you have a question or comment please leave it. 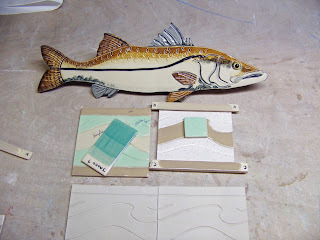 I would be happy to explain my process. Thanks, till Monday. Take care.